15+ Different Types of Cement - Their Definition, Properties and Uses. 15+ Different Types of Cement – Their Definition, Properties and Uses. A number of different types of cement are manufactured, by varying the ratio of the raw material and/or by adding some additional materials. We will discuss the above types of cement in detail below. Click on the image below to view in HD. Raw Materials of Portland Cement. ( a. ) Mineral Constituents. ( i. ) Lime (CaO). ( ii. ) Silica (SiO2). ( iii. ) Alumina (Al2O3). ( iv. ) Magnesia ( MgO ). ( v. ) Calcium Sulphate ( CaSO4 ). ( vi. ) Oxide of Iron ( Fe2O3 ). ( viii. ) The Alkalies. 3. Ultra High Strength Cement. Every type of cement has their own properties, advantages, and disadvantages. In this article, you are going to learn the most important properties of different types of cement in details. Following are the cement types. Portland cement is a product obtained by the calcination at a very high temperature, an intimate mixture of correctly proportioned calcareous and argillaceous materials. The calcined product which is called clinker. Clinker is then finally pulverized by grinding into a very fine powder and is finally mixed with calcium sulfatae or gypsum to obtain cement. The commonly raw material included in cement is as follow. (a) Calcareous materials and (b) argillaceous materials. The Calcareous materials include compounds of calcium and magnesium, such as Limestone. And Argillaceous ones include mainly silica, alumina, and oxide of iron such as clay and shale. Cement is manufactured in several varieties, but the most common one used is the normal setting or ordinary cement, usually called Portland cement. These are manufactured with two or more raw materials. They have to be correctly proportioned and thoroughly mixed. Lime, silica, and alumina are the important ingredients. To understand the technique of proportioning of raw materials, it is necessary to know the following. (ii.) The Constituents that go to form it. (iii.) The function played by the Constituents. The Chemistry of cement is very complicated. An engineer should understand the functions played by each constituent in imparting the properties of setting and hardening of cement. The important constituents of Portland cement could be represented as shown in the following table. The acidic constituents are SiO2, Al2O3, Fe2O3 and the alkaline ones are CaO and MgO. Omitting the rest, The Percentage of acidic Constituents is round about 32, and that of the alkaline ones is 63.5. These ratios are termed as “Cement Modulii”. it is necessary that the calcareous and the argillaceous materials should be carefully selected and proportioned. It is possible theoretically to make a mixture of raw materials and to calcine or to heat the same to a very high temperature to obtain Clinker. But it is necessary that a thorough and intimate mixing of the raw materials is essential to ensure a thorough and a complete chemical reaction between the ingredients while clinkering. Lime forms nearly two-third of cement and therefore, its proportion has an important effect on its qualities. A sufficient quantity of lime must be present in the raw materials to form the required silicates and aluminates of calcium. A deficiency in lime reduces the strength and causes it to set quickly; an excess will make cement unsound and causes it to expand and disintegrate. Usually, lime is kept below the required value. The quantity of silica should be enough to form dicalcium silicate and tricalcium silicate. Silicate imparts strength to cement and is present usually to the extant of about one-fifth of the cement. Alumina has the property of imparting quick setting quality. It lowers the clinkering temperature. Since a specific high temperature is necessary to form clinker of the required composition, an excess of alumina weakens the cement. Compounds of alumina react readily with water. Alumina forms about one-fifteenth. This is usually kept at a very percent. The permissible percentage is 1.5 to 3. Within these values, it has no bad effects, but when present in large percentages, magnesia is harmful. This is in the form of gypsum and has an effect of slowing down the setting action. Gypsum is added after the clinker is formed and during the process of grinding clinker. Oxide of iron requires a very high temperature to enter into chemical reaction with calcium and aluminum to form tricalcium alumino-ferrite, which imparts hardness and strength. The color of cement is due to iron compounds. As calculated on the basis of sulphuric and hydride. SO2 is limited to 2 percent. An excess quantity of sulfur causes the cement to become unsound. Alkalies present in the raw materials are carried away ordinarily in the flue gases during clinkering, so that cement contain very small quantities of the same, often less than 1 percent. An excess of alkaline matter causes efflorescence. It is also known as High-Early-Strength cement. It is manufactured with such adjustments in the proportion of raw materials. So that the cement produced attains maximum strength with-in 24-72 hours. Two essential properties of Rapid Hardening Cement are following. (i) It contains relatively more tri-calcium silicate. This is done by adding a greater proportion of limestone in the raw materials compared to that required for ordinary cement. (ii) It is more fine-grained ( Air permeability 3250 cm2/gm ) than the ordinary cement. This factors helps in quicker and complete hydration of cement particles during setting and helps in gaining early strength. However, the setting time and ultimate strength of Rapid Hardening Cement are same as of Ordinary Cement. It is a special purpose cement. It is used in that types of projects, where quick hardening is required. In advanced countries, an Ultra-high early strength cement is produced by separating the finest fraction ( above 700 m2/kg ) from the rapid hardening cement at the manufacturing stage itself. This is achieved by using special devices called cyclone air elutriator. Such cement is used for very high early strength concrete. It is that type in which a very low amount of heat or hydration is liberated during setting and hardening. Mostly it is used in massive concrete structures like Dams etc. (i) The proportion of di-calcium silicate (C2S) is almost double than ordinary cement. (ii) The proportion of tetra calcium alumino-ferrite (C4AlFe) is also increased to one and one-half time. (iii) The proportion of tricalcium silicate (C3S) and tri-calcium aluminate (C3Al) is reduced by about 50 percent. This is because these compounds are known to liberate a very high amount of heat during hydration. Fineness: The residue in the Sieve Test shall not exceed than 10 percent. Setting Time: The initial setting time shall not be less than 60 minutes. And the final setting time shall not be less than ten hours. (a) 70 kg/sq.cm in 3 days. (b) 115 kg/sq.cm in 7 days. (c) 265 kg/sq.cm in 28 days. Cracks will develop in such structures due to the great amount of heat liberated during setting and hardening. And a DAM with cracks is a useless structure. But when low heat cement is used, this danger (development of cracks) can be eliminated. These Types of Cement are quite different than rapid hardening cement. Its quality is that it set into a stone-like mass within a period of fewer than 30 minutes. (i) The quantity of retarding agents like gypsum is reduced to a bare minimum. (ii) The quantity of alumina-rich compound is reduced. (iii) The clinker is ground to extreme fineness. Quick setting cement is used only in very specific situations such as while constructing piers for bridges and other structures in running or standing water. These Types of Cement contains alumina in considerably larger proportions (average 40 percent) than normal cement. High Alumina cement is manufactured by calcining a well-proportioned mixture of Limestone and Bauxite (Al2O3, n H2O). No other raw material is added, not even gypsum is mixed with the clinker during grinding. The total Alumina content is generally above 32 percent. (i) It is resistant to the corrosive action of acids and salts of seawater. (ii) The ratio of alumina to lime is kept between 0.85 and 1.30. (iii) It gains compressive strength of 400 kg/sq.cm within 24 hours and 500 kg/sq.cm after 72 hours. (iv) It evolves great heat during setting. Due to this, it is not suitable for use in mega projects like Dams. But at the same time, it gives an advantage to high alumina cement for use in frost forming areas. (v) They react quickly with lime. Therefore, it must not come in contact with lime. Unfortunately, it is more costly. Therefore it is used only in those situations where resistant against corrosion is required. It is commonly used in construction work near and along sea-shore. It is a modified type of Portland cement which contains 25-65 percent (by weight) of blast furnace slag. It is manufactured by grinding clinker and specific amounts of blast furnace slag together. A small percent of gypsum is also added for controlling its setting time. The slag, as we know, is a waste product from the blast furnace which is used in the manufacture of iron (Ferrous Metal). The slag cement offers a number of advantages, which are the following. (i) They possess better workability, cohesiveness, and plasticity. These qualities are explained to be due to lesser specific gravity and greater specific surface area of slag cement. (ii) They have better resistance to sulfates of alkali metals, alumina, and iron. (iii) It produces low heat. 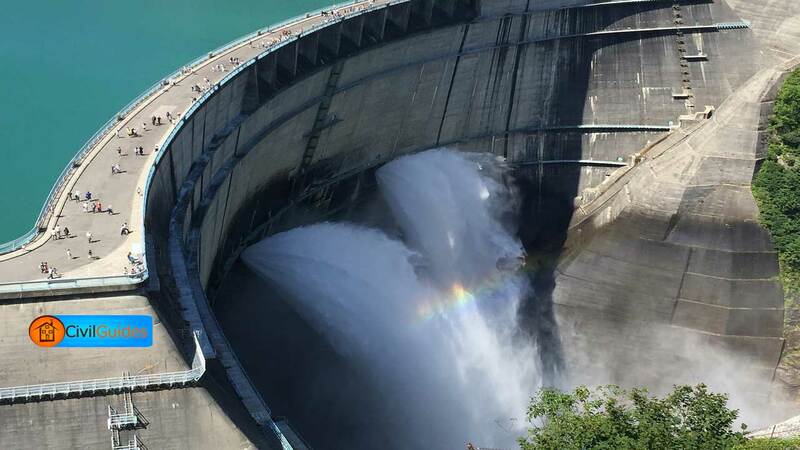 This property makes it useful for use in mega projects like Dams. (iv) It is economical as compared to ordinary cement. It is better suited for use in marine structures as in docks, harbors, and jetties. It is also used in road construction in marshy and alkaline soils. In this cement type, clinker and pozzolanic material such as (volcanic ash, fly ash, etc.) are mixed in a definite proportion with Portland cement. The pozzolanic materials do not have any cementing qualities when used alone, but when mixed with Portland cement, they react with cement components and form compounds with cementing properties. The pozzolana cement has many properties similar to ordinary Portland cement. But it also offers some additional properties, which are given below. (i) It produces less heat. Due to this property, it can be used in mega projects. (ii) It offers greater resistance to sulfates and corrosive actions of sea water. These qualities make it more useful for construction near or along the coast and also in sulfate soil. It can also be used in sewage works and for underwater construction. Read More: Different Types of Concrete – Their Classification, Uses & Properties. In this type of cement, pigment (color) is mixed with the Portland cement in a definite proportion. The Pigment is mixed in a finest powdered state. The amount of pigment used depends upon the shade of the desired color. It is, however, generally less than 10 percent (by weight). The following pigments are used to obtain colored cement. (i) Chromium oxide is used for green color. (ii) Cobalt is used for blue color. (iii) Iron oxide is used for various shades of red, brown and yellow color. (iv) Manganese dioxide is used to obtain black and deep brown color. This type of cement is extensively used for top coat in flooring and decorative purposes in various places in a building. It may also be defined as a special type of Portland cement when used it gives a milky or snow-white appearance. White cement is manufactured from pure limestone (chalk) and clay that are totally free from iron oxides and any other pigments like manganese and chromium. The kiln is fired by oil rather than by coal to avoid any contamination. There strength and setting time is similar to ordinary Portland cement. White cement is the most favored material for use in making highways curbs and for a variety of ornamental work. They are also used widely for making cast stones of appealing appearance. White cement is comparatively a costly cement type and is, therefore, used only selectively. It is a special type of cement containing admixtures which reduce the affinity of cement grains for water. Such cement types are used especially in cold, frost-forming conditions. Admixtures of naphtha a soap and acidol are generally added to achieve this property. Watch the video below to better understand the Types of Cement. These types of cement are manufactured by adding additional quantities of calcium sulfate and blast furnace slag in the Portland cement. It is especially useful for mass concrete work especially in sulfate-rich environment and marine conditions. Besides, it is comparatively economical than other types of cement. Such types of cement are specially made Portland cement in which alkali content is kept below in minimum amount, by exercising very strict control over the composition of the raw material used. They are used in those circumstances where aggregates -for making concrete- are suspected to contain reactive silica. Water proof cement is prepared by using some of the waterproofing material like Ca, Al with the ordinary cement during the process of cement manufacturing. 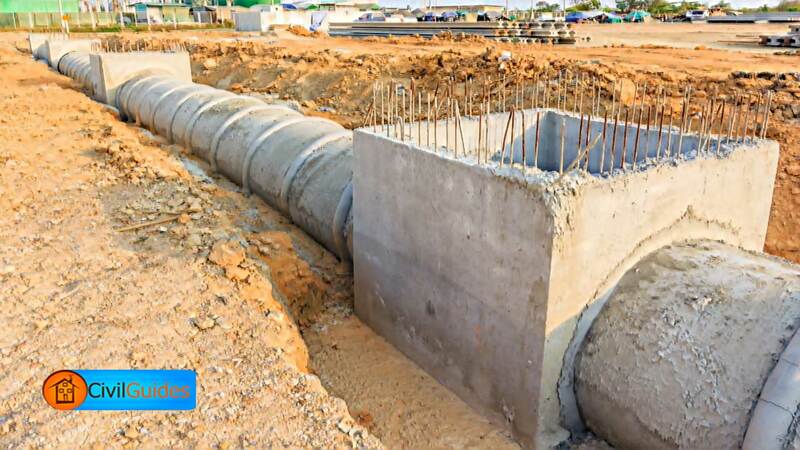 They are mostly used in the structures where water proofing is required, like in the Dams, Water Tanks, etc. This cement type is manufactured by adding some indigenous air entraining agents such as glues, resins, sulfates, etc., during the grinding stage of clinker. They are used to improve the workability of concrete with smaller water-cement ratio and they also improve the frost resistance of concrete. These types of cement have he quality to expand slightly with time. But they do not shrink during and after the time of hardening. They are mostly used for grouting purposes in anchor bolt and prestressed concrete ducts. 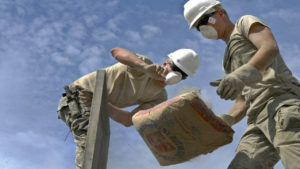 So, Finally, our article about “Types of Cement” is reached to an end. Thanks! for reading. And don’t forget to share it with your loved one. If you have any question/suggestion comment below. Thank you ,sir. It is explained to easy way which I understand to easy and comfortable. I hope that in this way give knowledge. Thank You very much! its so useful!